Although I inwardly shudder and have to fight the urge to weep whenever someone says, "Oh, I LOVE classic films! Breakfast at Tiffany's was awesome!!" and then follows up the statement with "I have the poster on my bedroom wall. 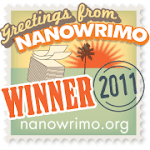 ", I do have a rather ginormous soft spot for the damn thing. I mean, apart from my Mum, who doesn't love a film about a quirky young woman who has a cat with no name and is really just a lost little girl living a crazy life The Big Banana*? Aaaand breathe. 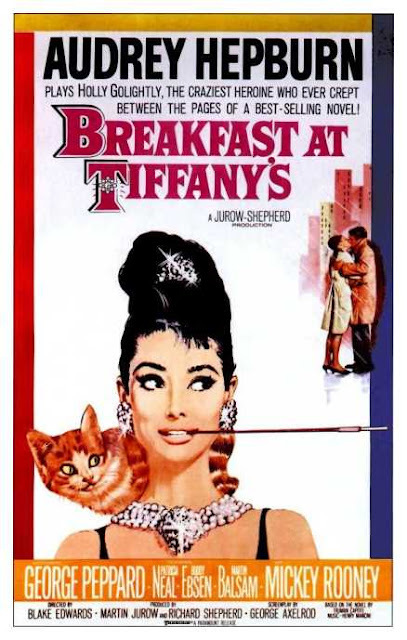 Apart from Mickey Rooney, there is really nothing to dislike about Breakfast at Tiffany's. It has the ability to cast a ray of sunshine into your life even when you're feeling terrible, and that is something that everyone needs at some point. Everything about it, the music, the cinematography, the story, is sublime. We even get a beautiful happy ending (of course, if you read the book all your illusions about the film will be shattered for a while ;D ). I can't really say much more about why this is a film I can watch over and over because it's all been said before and if you've seen it yourself you will most likely know how I feel about it. *See French and Saunder's 1988 Christmas Special. I am not mad.